This color sensor module contains the TCS230, a programmable converter which converts light to frequency. It can filter RGB from the light source, and convert it into rectangular waves with frequency directly proportional to the intensity of light. It is used in robotics for object recognition,"lines" tracking, in design for the chameleon effect and more. TCS230 combines photodiodes and voltage-to-frequency converter. It contains an 8x8 series of photodiodes: 16 with blue, 16 with green, 16 with red filter and 16 without filter. If you take a magnifying glass and target the center of the chip, you will be able to see these filters. The sizes are 120x120um, and they serve to filter "random" radiation. 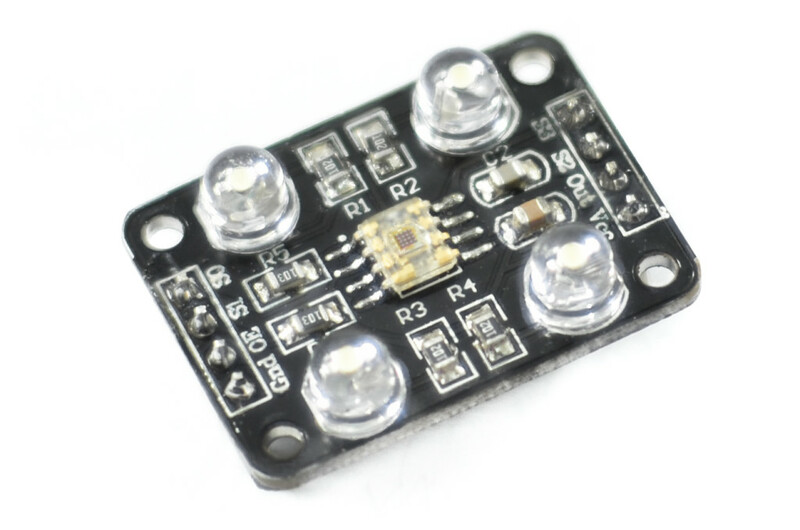 On the module are 4 wide-angle 5mm cold white LED diodes in order to increase radiation and other passive components necessary for direct reading of the output pin. For more, check the datasheet. According to the datasheet, we have pined the pins as in the picture above. S0, S1 - +5V, combination when both pins are HIGH scales the output pin to 100%. For greater accuracy, use lower [%]. 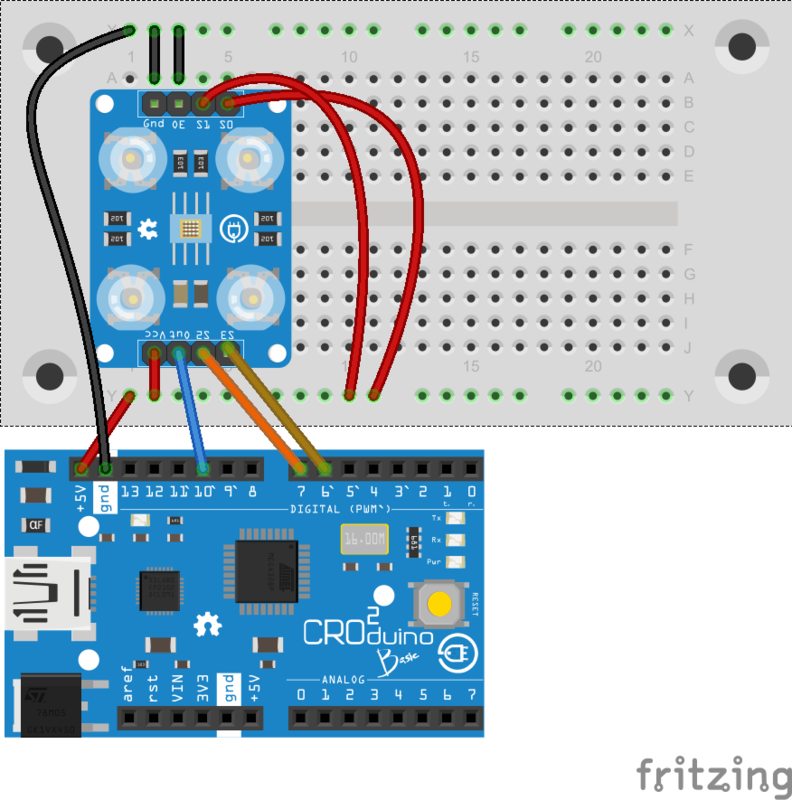 In that case, with Arduino, it is necessary to use some Timer library. NOTE: the code below shows the module work principle, for more precise data, calibrations and exact measurements are needed and you can get them with the help of TimerOne library.